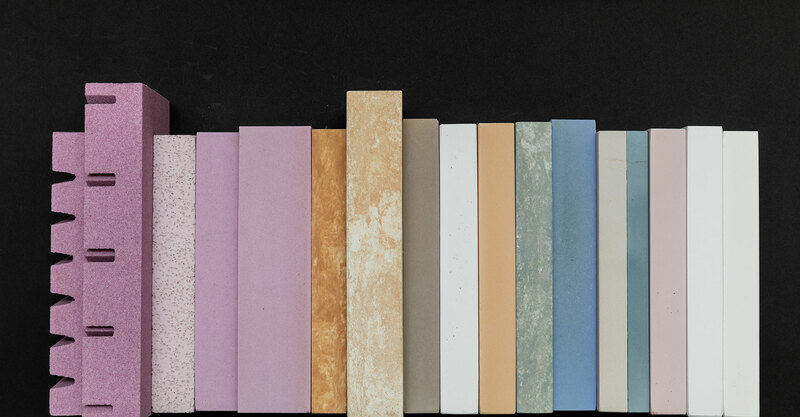 Miyagoshi Seito Ltd. in Kyoto manufactures and sells artificial sharpening stones by the vitrified manufacturing method. 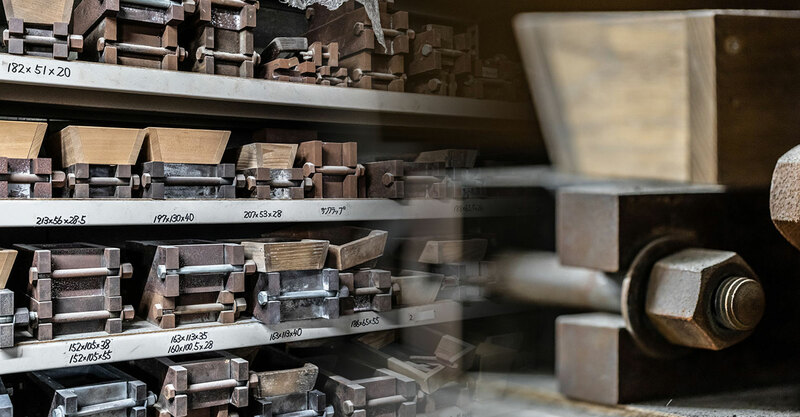 We have been creating the sharpening stone for almost 80 years, making emphasis on the performance. In order to produce the sharpening stones which have high sharpening ability, vitrified method is the most appropriate one. The sharpening stones made by this method show the extremely high sharpening performance. 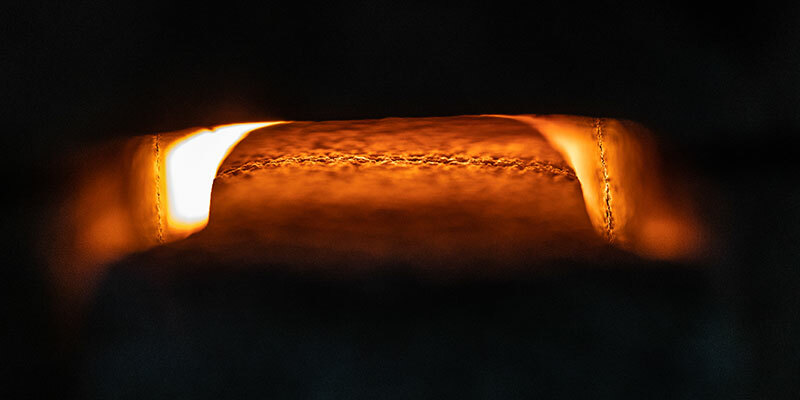 The abracive are combined with the ceramic bond materials and goes through the high-pressure shaping and the high-temperature firing, most of which heavily depends on the manual procedure that requires sensitivity despite the simple process. The molded materials used to be carried to the Kiyomizuyaki’s kiln (for pottery) and borrow the high temperature space to fire, which is called “Degama”. 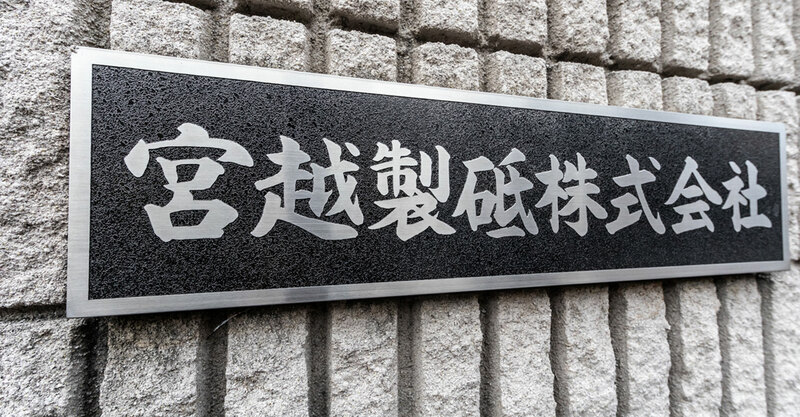 Having through the many tests for the abracive and ceramic bond that become the materials, the ex-president(Kiyoyuki Miyagoshi)who was the expert on the characteristics established the procedure from the mixture to the firing based on the insurmountable amount of the data. The procedure is changed depending on the circumstances and the stable and uniform production is achieved. 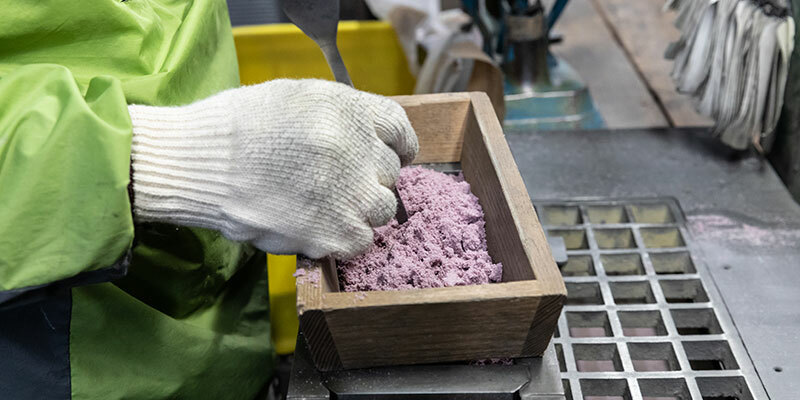 Given the production recipe which the ex-president (Kiyoyuki Miyagoshi) had developed the performance and strived for the improvement, now, we wish we can provide the sharpening stones that can always satisfy the customers while taking care of the external environments such as the temperature, the humidity, the things to be fired, and the quantity in the production process. abracive is melted by the high-temperature firing, and kept with the vitrified bond material. When sharpening, new honed grains constantly hit the blade directly. Furthermore, the appropriate air bubbles are formed in the sharpening stone itself, and the water penetrates into the air bubbles when they are immersed in the water. The resultant lubrication realizes the sharp and smooth sharpening performance. Another advantage of using the vitrified method is the high safety. 33 hours firing at nearly 1300℃ melts the bond, and it can be safely used for taking care of the tools to handle the raw food. Our product is essentially ceramics (shaping: collective term of firing). Temperature difference: humidity: direct sunlight, environment, alkali :acid etc. In addition to the long duration due to the chemical resistance and anti-aging, it can be kept in the water. You don’t have to care the place to put whether it is close to the fire or under the direct sunlight or not etc. The followings reasons above prove that our product have the high cost performance as well as the as the ease in handling. The sharpening stone is also a tool. The appropriate tool is necessary for taking care of the precious tool. 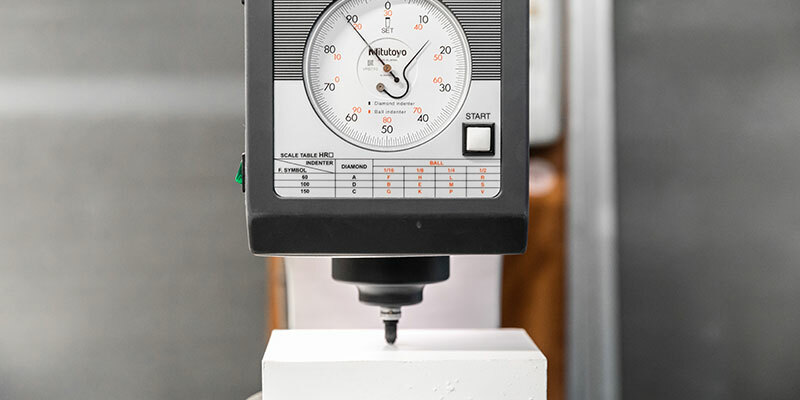 Sharpening heavily depends on the one’s gender, physical build, strength and age, so each person happens to have different sharpening stones which can be easily used. The sharpening styles also depend on the people, and how the finishing is made is also different. The combination of the knife type and the sharpening stone also matters. 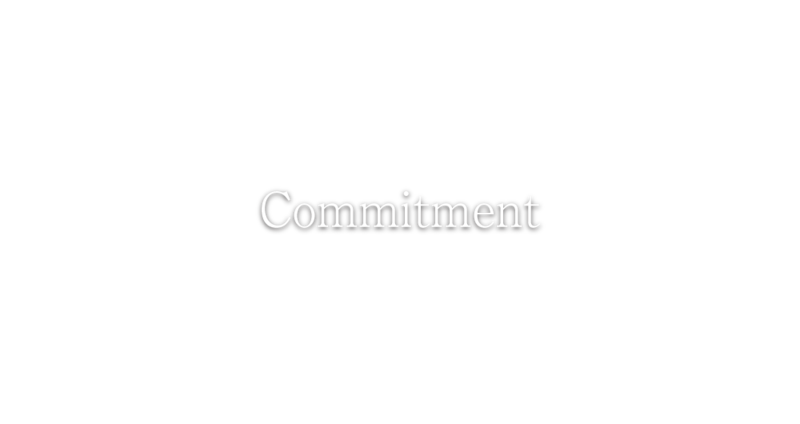 The important point is to choose the sharpening stones based on the people who use them, what things they hone and how they want them to be finished. Another advantage of using the vitrified method is high safety. 33 hours firing at nearly 1300℃ melts the bond, and it can be safely used for the maintenance for the tools to handle the raw food. Our products including the original series and the Industrial stones are produced based on the user perspective so that they can achieve the smooth working process. We are more than happy if our produce is acknowledged as “indispensable things” in your working environments. 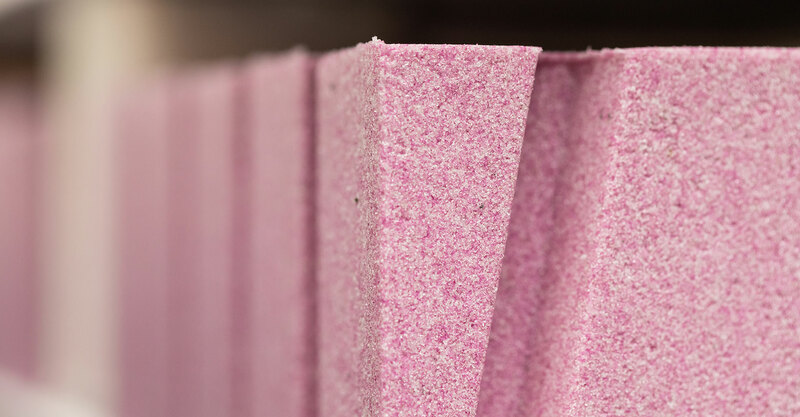 A ceramic binder is added to these materials using high-purity aluminum oxide-based abrasives (WA: PA), zirconia-based abrasives (AZ) and silicon carbide-based abrasives (GC: C) as raw materials for grinding wheels Mix and mix with a mixer. The blending ratio of abrasives is around 90%. The composition changes slightly depending on the product. The sieve is further sifted to obtain a non-uniform grinding stone that is polished to the same level until the end. Especially fine powder repeats this work. 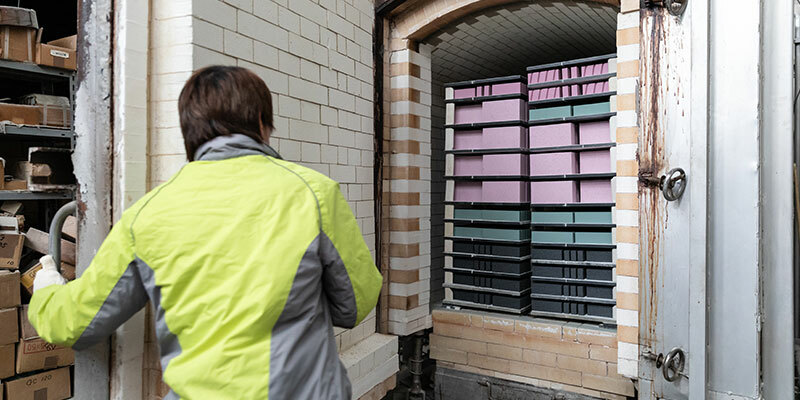 Place the blended ingredients into their respective molds, pat them with a mallet to make them even and apply high pressure (50 tons). 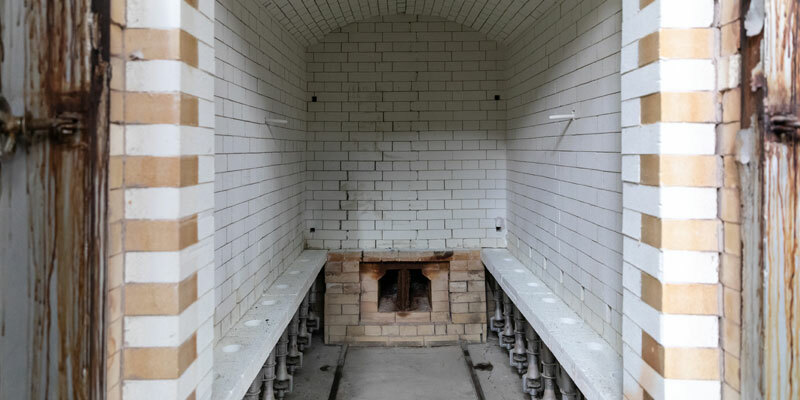 The material which is in a hard-to-break state even after touching is dried in a drying oven at about 100 ° C.
the prototype stones are shelved at each location and fired in a gas oven at high temperature near 1300 ° C. for approximately 33 hours. In the middle two days, we scoop out the grinding stone and deburr it and inspect it and inspect its hardness. Or ship after processing. ※ Even though it is a simple process of the vitrified method that high-pressure molding and high-temperature baking the compounded one, it is making efforts to stabilize the quality while adding fine adjustment, because it depends on the weather, humidity, and the amount of baking. Please contact us by phone or email form! Copyright © Miyagoshi Seito Ltd. All Rights Reserved.